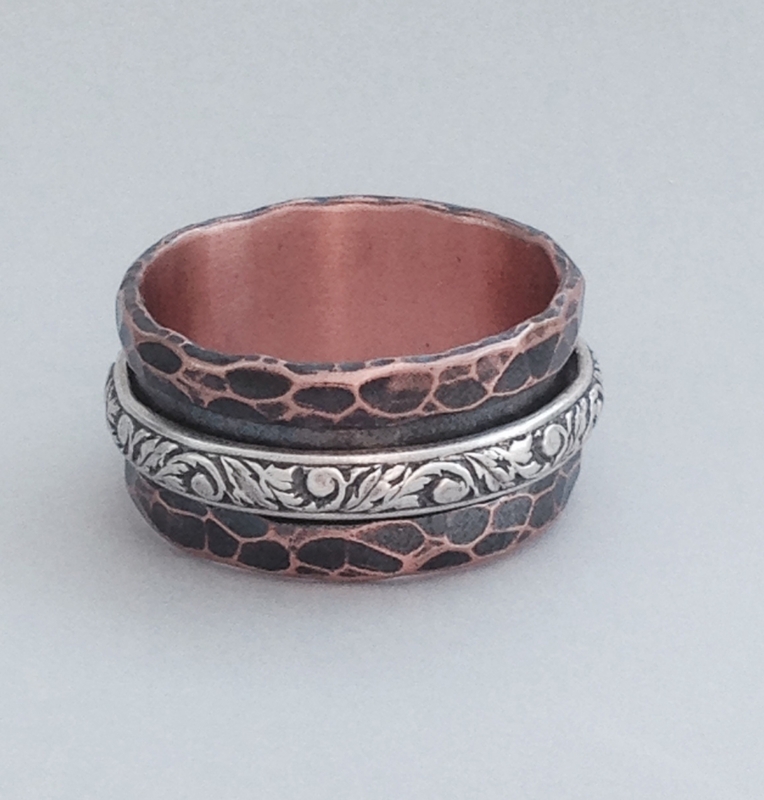 This ring is hand made from copper and has a hammered texture. The spinner is made from sterling silver. It is about 1/2" wide so when ordering please order 1/2 size larger than you normally wear. It has a patina and is coated with lacquer to help protect the finish. These rings are individually hand made so no two textures are exactly the same. This photo is representative for the texture.